Is Tyler Henry Dating Anyone? Does He Have a Boyfriend? When it comes to weddings and receptions, one question always comes up early in the planning process: where will it be held? Hall, home, back yard, lakeshore? The possibilities are endless. Outdoor receptions can be fun, but of course, that puts your event at the mercy of the elements. Nothing shortens a fun gathering like an unexpected summer storm. On the other hand, who wants to be cooped up indoors on a beautiful summer’s evening? Enter the Log Cabin Inn Banquet Center, 6484 E. Bluewater Highway in Muir. The facility, which opened in 2014 and has done a booming business since can seat up to 300 guests; it also offers a large deck and outdoor seating, making it the perfect choice for those interested in indoor/outdoor options. 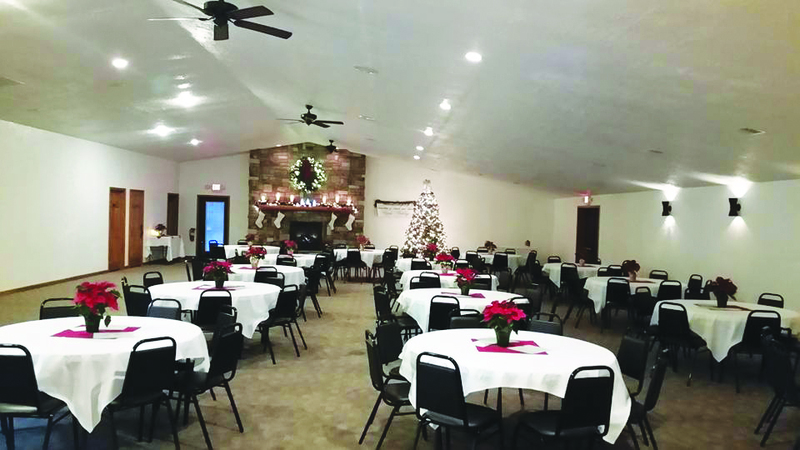 According to Log Cabin owner Toni Feehan, the center celebrates its fifth year of business in May with an open house featuring music, a food vendor truck and other activities. Depending on the weather, a car show may also be part of the fun. The center provides almost all the necessities required for any successful reception, party, wedding or other events. Linens for the tables also are available for rent. All of this is set up ahead of time by the center’s staff. At the end of the night, clients have the option of cleaning up themselves or allowing the center’s staff to take care of these details. The center also features a full kitchen, with freezers, refrigerators, lots of counter space and even a double-oven, all of which are available to clients. A large fireplace provides not only additional warmth in the winter months, but also creates a lovely ambiance and serves as a focal point for traditional wedding photos. The deck also makes a nice backdrop for photos, Feehan added. Guests often wind up dancing on the deck, as well. The center also offers an indoor dance floor. In addition to providing advice and guidance when it comes to planning the use of the facility, Feehan maintains a list of referrals for bands, DJs, photographers, caterers and other wedding-related information. 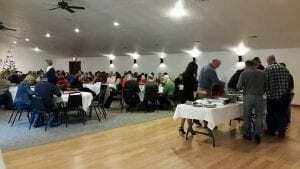 Along with weddings and receptions, the hall often hosts company Christmas parties, luncheons, family reunions, special birthdays, anniversaries and celebrations of life events. Of course, with all this going on, it’s typical for the center to be booked as much as a year in advance. For more information or to reserve a date for your event, contact Feehan either through the center’s Facebook page or by calling (989) 853-1100. Wedding bells ring in Clark County: Cha-Ching!